Starting to learn to code can open up a plethora of job opportunities, but it’s not always easy to just learn to code. The first choice a person needs to make is to determine which language they want to learn to code in. Some, like Java, are incredibly well-known and can be an asset on a resume while others are lesser-known and may not make a difference between otherwise comparable applicants. Before a person decides to learn to code with Java, they might want to take a look into why this is a popular language and why the outlook for Java developer jobs is good. Then, they’ll want to think about how they’re going to learn to code and start looking at the job opportunities that might be available to them once they have mastered the language. It’s not going to be fast to do, but it is something just about anyone can accomplish to help them reach their goals. Created in the mid-1990’s, Java has gone through several complete releases to reach its current version, Java 8. In 2010, Java was bought by Oracle Corporation, a software vendor. 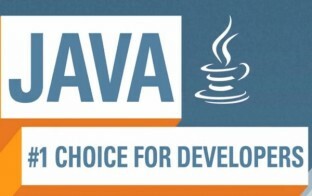 The developer community wasn’t sure about the acquisition and the lack of a new version meant the popularity of Java dropped. Many top developers left to pursue other endeavors. In 2014, however, the current version was released and the popularity as a programming language once again skyrocketed. The language got the update it needed to remain current and progressive, meaning it was once again a competitive language worth taking another look at. It has also had a series of updates since the latest version, helping to keep it secure and to fix any bugs that might occur. Since the latest release, the use of Java has once again jumped. According to recent statistics, it’s now one of the top programming languages used, ahead of many other top names. Many employers are starting to look specifically for developers with experience in programming with Java to help upkeep their older programs, reinvent programs, and to create new programs to fulfill any of their needs. Java is applicable to an infinite number of situations, so the possibilities for projects to work on is nearly limitless. This means there are quite a few different jobs available for those who can program with Java. Developer positions often call for a specific language, so understanding how to code for that language is essential. Even when no language is specified, many employers prefer the person to know Java as it’s one of the most commonly used languages at this time. Learning this language can also pave the way for a person who wants to learn to code in a variety of different languages and be available for a variety of different developer jobs. It can also be extremely beneficial for a person who wants to work from home and wants to be able to set their own hours as they’ll have a marketable skill to find projects they can work on. A person who learns Java typically has two different job opportunities available to them. They might choose to look for an employer who needs a java developer. This can mean a steady income as well as other benefits and the job is typically considered to be paid well. Many people prefer the security of working for a larger corporation, but smaller businesses may need a full-time developer as well while they continue to grow. This gives the person a variety of opportunities, but they also have the option of doing freelance work. Though they won’t receive any benefits this way, it can be a great way for a person to pull in extra income while they do other work or to work full time from home. Working full time from home as a freelancer isn’t always easy to do, but it does mean the person can set their own hours for work. Java can mean the difference between a resume getting skipped or getting a closer look. Although it was looked down on for a few years because of the lack of updates, it’s back again and one of the most sought after languages. A person who includes java on their resume can open the door to a range of different developer positions and continue to learn and grow while they work their dream job. This could mean working with a smaller business, working with a large corporation, or working from home as a freelancer. If you’re interested in a developer job, Java is definitely one of the top contenders right now and one to consider. This post was written by our VP of Technical Recruiting, Eric Lyublinsky.